HOEPLER Pinot Blanc at Teckniker Circle Ball! Our Pinot Blancs are getting quite a name for themselves and we are very excited that our Hoepler Pinot Blanc 2016 has been selected for Vienna’s most exclusive ball. Referred to as the Technikner Cercle, this ball is visited by the movers and shakers of industry in Vienna, it takes place in the famous Musik Verein the home of Vienna’s New Year’s concert. 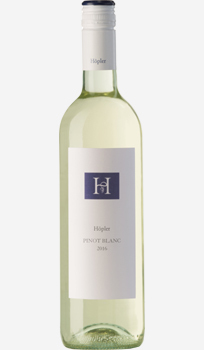 We promise that our Pinot Blanc will add to the waltzing tempo and no doubt bring a touch of Hoepler Happiness to the ball season this year. So in your best German…..
TC Ball - Ball of Industry and Technology!